Design is an evolution of ideas that creatively interacts between the Program, Principals of the firm, Project Managers, Key Staff and the Team of sub-consultants. The Principals have over thirty years of professional experience and a team working extensively with TLA, together explore new concepts, anticipate and resolve design and construction issues successfully and expeditiously. Alisha and Stephen are closely involved in the process for all decisions and coordination throughout the life of the project. By preemptively anticipating problems and evaluating how new technologies/methodologies might be applied to solutions the search for iconic forms can be discovered in the complexity and uniqueness of each individual project. From Concept through construction documents to final completion Ting + Li Architect’s design team employ a hands-on approach by working closely with the Client. We take pride in the diversity of our successfully completed projects. Whether your project includes new construction, building additions, or major renovations, we have the expertise to engage any challenging or complex task. We specialize in creative solutions to meet your unique goals, and we ensure that the design is fully realized. Our philosophy advances our technical knowledge, strong communication, and attention to detail leading to excellence of all projects and completed with a high degree of quality control. TLA partners directly lead the staff, taking a pro-active role in design development and construction. Each of our staff has a multi-disciplinary skill-set ensuring consistency in all phases of design, anticipation of critical issues, and finding solutions before complications become serious problems. 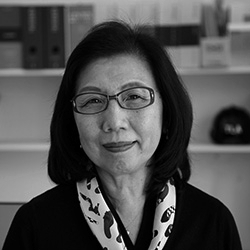 Ting + Li Architects is dedicated to creating sustainable built environments and the ever-evolving technology of energy efficient design. We are experienced with the LEED Green Building Rating System and both of our firm’s principals and senior staff members are LEED AP accredited. Ting + Li Architects is always looking for fresh new talent who can contribute to their team. For serious inquiries, please fill out the forum below and we will get back to you shortly.